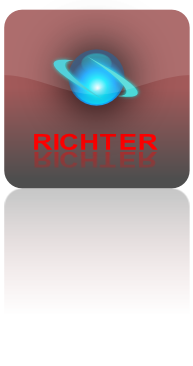 RICHTER ENTERPRISES CORPORATION develops and manufactures vacuum lifts for the glass industry. Our manipulators are designed for highest safety and reliability. The design of our plate lifters is also focused on ergonomic principles giving a logically arranged interface to the operators and low weight for easy operation. The manipulators are typically suspended by crane-ways or jib-cranes which are supplied by Richter Enterprises and customized for the work area and applicable capacities. Suction Cups for on-site installation of pre-framed windows. These manipulators are used to take a window of up to 1000 lbs out of a pallet and move it to the buildings opening and holding it in place during installation. This equipment is powered by a battery and will be re-charged at night. For safety our manipulators are using several independent zones of vacuum. This secures the glass even if one zone looses vacuum. Other applications require for the glass to be rotated from a portrait to a landscape orientation for flexible stacking on the rack. Our MIG 500 is accommodating vertical fabrication lines like IG-lines. Heavy IG units can be taken off by one operator, inspected from every side, and placed on the cart. The take-off on laminating lines requires manipulators able to tilt from a horizontal position to a vertical position and arrange the heavy products on the autoclave cart. The manipulators with tilting functionality are guided vertically to prevent from swinging . Other applications are window and door assembly, and loading of cutting, tempering or drilling lines.